Without a question, BYOD (bring your own device) has had a substantial impact on education. 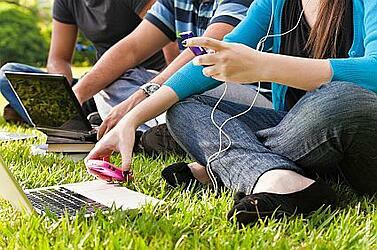 The use of mobile devices on campus and school wireless networks has transformed both k-12 and higher education. As these mobile devices continue to flood your facility, it’s important make sure you’re not sacrificing compliance or security. In many cases, IT doesn’t know how to manage the all of these new mobile devices in a way that supports a cutting-edge and beneficial learning environment while still complying to the school’s IT and security policies. 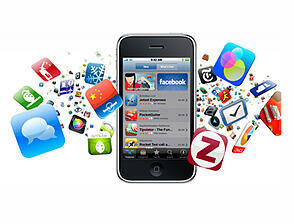 This is where mobile device management comes to the rescue! Many educational facilities are turning to mobile device management solutions (MDM) to help them get all these new mobile devices secured and under control as painlessly as possible. There is tons of mobile device management software and solutions out there that can help keep your schools wireless network secure, protect your students, and manage and secure all these mobile devices your students and staff are toting to class. It’s important for IT to have the ability to push school compliance policies, secure multiple applications across various platforms, service devices, and perform diagnostics remotely. Your MDM solution can also, prevent students and staff from using their mobile devices to send sensitive data by letting IT set content and context-aware security policies. For example: You can have a policy that recognizes the format of social security numbers and will automatically recognize and prevents students from sending it. Keep your students on track by using context-aware security to lock specified apps like Facebook, Twitter, etc. during school hours. Your MDM solution should provide real-time visibility into mobile network traffic and user behavior, and discover and block any unauthorized devices. With the plethora of mobile devices out there today, it’s important your MDM solution can provide full support to all types of mobile devices. You can go head and package everything together so when students log on to the network for the first time to enter passwords and whatever else, it automatically downloads the apps they will be using in class so they are all ready to go for class. Don’t tell me that doesn’t save some time. You can track all your mobile assets across your campus. Say a student loses their iPad; this helps IT know the mobile device location by using GPS & network location facilities. With today’s tech-savvy students and the BYOD explosion, it really is vital to have a mobile device solution for your campus or school wireless network. Use this features list as a guide and take the first step to ensuring you get the level of security for BYOD at your school. At SecurEdge we provide design, deployment, and support of BYOD and mobile device management solutions for school wireless networks. We would be happy to answer any questions you have or provide a consultation for free HERE. Check out some of our free resource guide and kits for some more helpful information.